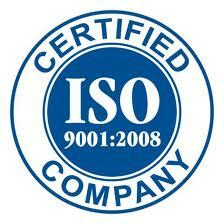 Sun Sine is an ISO 9001:2008 certified manufacturing company and not a system integrator. All its products are CE certified as per MNRE (Ministry of New and Renewable Energy) standards. It also extends 10 years replacement warranty for the micro inverters. The company provides life time maintenance apart from developing and delivering customized solutions.